Contributor Cynthia Pike Gaylord and author Thomas E. Kennedy discuss balancing reflection and action, sorting the genuine from the false, crafting opening lines, and more. Thomas E. Kennedy is the author of eight novels, as well as several collections of short stories and essays. He has won numerous awards, including the Eric Hoffer Award, the Pushcart Prize, the O. Henry Prize, and the National Magazine Award. 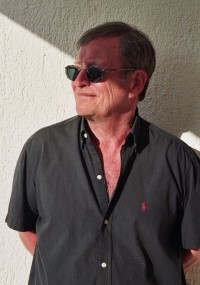 His novel In the Company of Angels, published by Bloomsbury in March 2010, first appeared in Ireland in 2004 as Greene’s Summer; it is one of four novels comprising Kennedy’s Copenhagen Quartet. He was born in New York and has lived in Copenhagen for more than two decades. CG: Your personal essays achieve a balance between inner dialogue, or reflection, and outward action. It’s a seamless, very natural flow between the two. This movement between thought and action is something that challenges a lot of writers. How do you create this dance? Is it a conscious process? Is it something you address during the revision process? TK: Really, not at all. When I am taken by a subject, by a situation, the words tend to bubble up. Sometimes they stutter, but what you describe as the dance between thought and action is not at all conscious – it has to be a natural flow. Well, that’s not entirely true, I am so in the habit of measuring words that there is a little editor at the gates of wherever it is that the language comes out in my brain, and that little editor is kind of like a person hired to watch an assembly line of, say, beer bottles, and the bottles go rattling past him, and his job is to pick off the misshapen ones or the ones that are only half full – but it is important that he not stop the flow, if you see what I mean. So the process is not conscious, but at the same time there is a conscious witness to it who keeps the flow moving as best he can. The process has to be a natural flow. As Robert Coover said, the best stories he’s written were ones that he let happen. Or as Beckett said, about Waiting for Godot, it all happened between the hand and the page. But as you also suggest, during the revision process, you have to take a certain control of it all – but you can take so much control that you destroy something. I’ve experienced that. You don’t want to take too much control of it – you have to let the creative impulse have its movement. You have to let it happen. As Henry Miller said, “You have to listen when the Muse sings, or you get excommunicated.” And sometimes the Muse might sing a song you don’t want to hear. Miller, for example, talked about trying at first to resist the song of his tropics books. Like, “No, please, don’t make me write that, they’ll kill me.” But if you don’t listen, it goes dry. CG: You say in your book, Realism & Other Illusions: Essays on the Craft of Fiction, “The writer’s most important job, I think, is to be a receptive vehicle for the expression as it occurs, to know how to sort the genuine from the false in transmitting the song.” From a nonfiction perspective, I suppose the false could be anything that doesn’t need to be included in an essay. How do you make these kinds of editing decisions in your creative nonfiction writing? TK: I think that in writing CNF, maybe even more than in writing fiction, you have to hang loose, listen to what is happening around you. When a couple of people behind you on the bus are speaking, you have to hear what they’re saying and how they’re saying it. And when the people around you are speaking and when you yourself are speaking, you have to listen. You have to hear the words and the tones and the music of it, and you have to see how they move, what they do, how their bodies form a counterpoint, and you have to incorporate that into your experience and into your writing. To me that is what CNF is all about. It’s also about what Stanley Elkin meant when he said, “The imagination is perhaps not so much a process of invention as it is of recognition.” We must recognize the world around us, in all its detail, all its scene, all its irrationality and cacophony, all its landscape, all the stuff it presents us as writers hungering to cast our surroundings and internal existence into language – as surely as a painter must hunger to render perception and consciousness in pigments and shape. I believe this is equally true for the fiction writer as it is for the writer of creative nonfiction. I guess the only difference is that in CNF you don’t necessarily invent the connections you might invent in fiction. CG: Let’s talk about openings and how you craft them. I know a lot of writers – myself included – who are generally satisfied with a piece, but struggle to find the right opening. Books and articles offering writing advice always stress how important it is to “hook” or “grab” the reader from the first line. How do you craft your openings? TK: Well, I don’t like the idea of “hooking” the reader so much. That seems to me like a false opening, like a carnival hawker who insinuates that if you pay your fifty cents, you will be admitted into the tent where you will see a wonder, a dog that is half snake. You pay your fifty cents and are let into the tent and what you really see is a dog with a severe case of psoriasis. I don’t much like the idea of “hooking” the reader any more than I myself like being hooked, if it’s on a false premise. Okay, you do have to hook the reader but not in an artificial way. It has to be, if it is to be a sustaining opening, a natural first move that leads into a natural narrative. I don’t think an opening sentence should be necessarily alarming or arresting, it should rather be interesting. I recall a novel from decades ago that began something like, “My father always kept an ice pick by his plate in case he had to perform an emergency tracheotomy during family meals.” On first read, I laughed and quite liked that sentence, but in time, I began to find it exaggerated, giving too much too fast, trying too hard. As somebody said about Irish literature, “The door is ajar but there are no invitations.” Or as a Japanese friend of mine once described the difference between American and Japanese fiction with a hand gesture: the American hand was saying, “Come in, come in!” while the Japanese hand was held up, palm out – stop. I prefer an opening that is interesting and that arrests you with substance rather than with a joke or an exaggeration, or even one that unsettles you in a certain way. If you look at the openings of some of the greatest pieces of literature, you will find them arresting but also very involved in the narrative. For example: “A screaming comes across the sky” (Gravity’s Rainbow). Or, “It was love at first sight” (Catch 22). Or, “They’re out there” (One Flew over the Cuckoo’s Nest). That sentence is not a false hook – it is a substantive introduction to Chief Bromden’s very real escape into paranoid schizophrenia. There are so many ways to open a book or any narrative. Look at Henry Miller’s Tropic of Cancer: “I am living at the Villa Borghese. There is not a crumb of dirt anywhere, nor a chair misplaced. We are all alone here and we are dead.” Who could resist reading on? Sometimes, though, a first sentence is SO good that I find that it stops me. For example, years ago, when I read the first sentence of Gabriel Garcia Marquez’s One Hundred Years of Solitude, “Many years later, as he faced the firing squad, Colonel Aureliano Buendía was to remember that distant afternoon when his father took him to discover ice.” I found that sentence so arresting that I was indeed arrested – I closed the book and closed my eyes and contemplated its resonance for a good long while and somehow never got back to reading the book. But you also asked how I craft my openings. Sometimes they just come to me. I remember once being on a tour of a mechanical musical instrument museum, and I leaned on a Gasparini street organ, and a voice went off in my brain: “My name is Vicente Gasparini. I was born in sin, died in shame. I gave to life my art…” Where did that voice come from? I have no idea, but I did not craft it. I only had to listen to it, write down what it said. Other times I have to work at it. With my latest novel (In the Company of Angels, Bloomsbury, 2010), I had an opening scene in which a former torture victim wakes in the middle of the night, starting with a sentence something like, “Nardo woke suddenly in a panic and bolted from beneath the covers.” The novel was all written and I was about to send it to the publisher, but I suddenly felt dissatisfied with that opening. I recall walking around the room, pulling down books and reading first sentences, feeling a kind of helpless discontent, desiring a better first sentence, and finally demanding of myself that I produce a better sentence – then this one popped out: “The first time Nardo saw the woman with eyes of blue light, he woke from a dream in which the angels had forsaken him. He bolted from beneath the covers…” I liked that sentence, but felt it wasn’t clear enough and started to monkey with it, but something in me said, “Let it be. You asked your Muse for it. Use it!” So I kept it as it was and am glad I did. CG: Finally, what are some of the differences you find between writing a short story and an essay? TK: Well, of course you create nonfiction as well as you create fiction. I think the main difference with nonfiction is that you already have a pattern of sorts, you have the material, you just have to cut it into shape. With both genres you create its reality by your skill and luck at selecting words, selecting details, forming or evoking a voice to tell it in and holding to that voice. A real event is not necessarily interesting – it’s the way it is told that’s interesting. That’s the difference between literature and mere journalism. Cynthia Pike Gaylord left a career on Wall Street to pursue a lifelong dream of writing. She received her MFA at Fairleigh Dickinson University, where she now teaches. Her work has appeared in The Writer’s Chronicle, The Independent Press, and New Jersey Monthly.